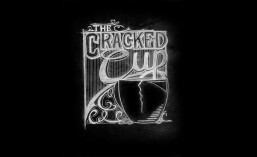 March | 2015 | Welcome to The Cracked Cup! Want to learn more about the Baristas at The Cracked Cup Coffee Co.? Check out some of the personal conversations between them with “Barista Texts”. We’ll start posting these every now and then, just for fun. I hope you enjoy them! I am sad to say, that we will not have a comic today. We had an incident with our cat somehow managing to corrupt the file for today’s comic. I promise it will be out as soon as it is finished… again. Please enjoy our earlier comics, if you haven’t, and check back in the next couple of days for “Issue 13: No more Pumpkin”. Also, I’m just realizing that our cat is black, and the issue was number 13. I’m not superstitious, but if I was, I wouldn’t be going near any mirrors or ladders today. Lack of talent or lack of passion? 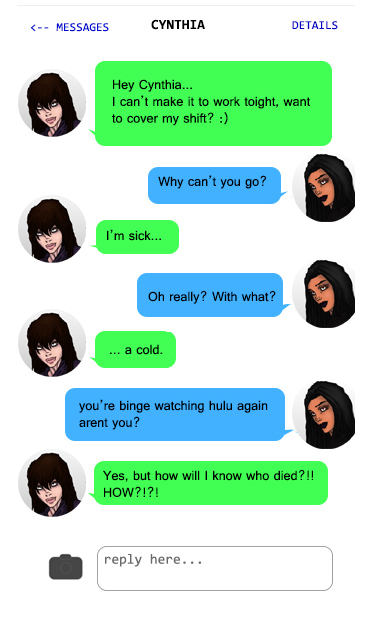 Do you like our comic? You should like us on Facebook! 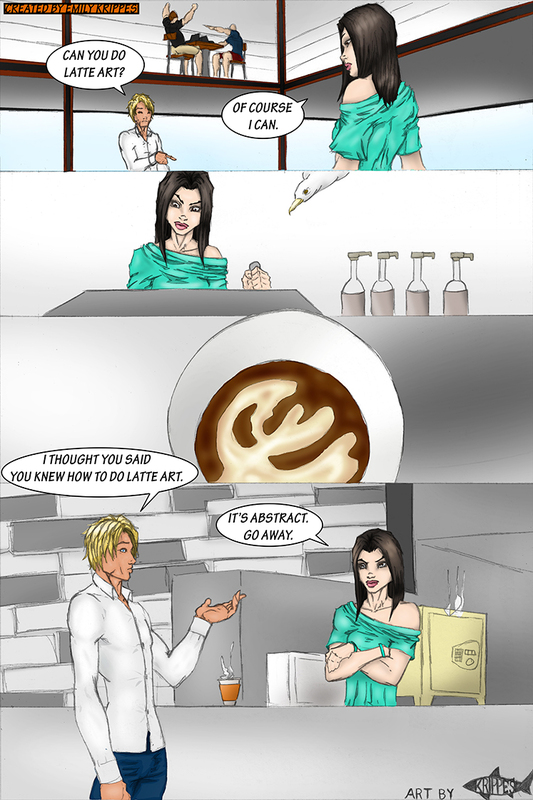 We update each time we post a new comic, and add other tidbits every once in a while. Oh the joys of remaking a drink… or several.